MW Travel Vegas can not only provide transportation for the bride and groom on their most special day but we can also assist with transport for all of their friends and family too! It is no secret that the logistics of where everyone needs to be and where they will go afterwards is nothing short of a nightmare. The bride and groom should not have to spend a single second of their upcoming glorious union together worrying about such things. Let MW Travel Vegas ensure that everyone arrives where they need to with our fleet of sedans for your special day. Let us get you to your the wedding, the reception and back to your home or hotel safe. Our chauffeured sedans are perfect the perfect compliment to a wonderful day of celebration. 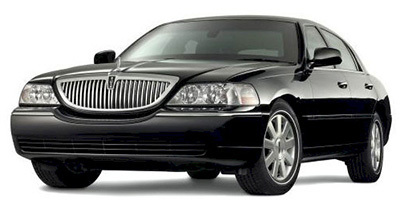 Our courteous experienced drivers will transport your guests in luxurious air-conditioned sedans (that can seat up to three passengers comfortably) everywhere that they need to be at for the wedding, including (but not limited to) the venue, reception, hotel room, or airport if necessary. Don’t leave your family and friends’ transportation needs to chance by having them take an un-reliable taxi-cab and hope that they are able to attend your unforgettable day or even worse yet, a city bus. Do without the stress and take comfort in knowing that they will arrive on time. We at MW Travel Vegas understand the importance of having a wedding day with the least amount of stress possible so do not forget to plan ahead with us and do not hesitate to let us know anyway that we can accommodate your needs whatever they may be. Safe, reliable, and luxurious transportation is what we do best; let the experts at MW Travel Vegas take care of everything so you can sit back, relax, and actually have the time to enjoy a day you will always remember.